Slam, let's not forget Bob Layton's inks over Staton's pencils and that beautiful Neal Adams cover. Batman is, hands down, my favorite fictional hero, and the 100 Page Super-Spectaculars of the '70s are a big reason why. I loved this format, because it meant a whole day of great reading. Seeing Irv Novick's modern Batman side-by-side with classic renditions by Bob Kane, Jerry Robinson, and Sheldon Moldoff somehow made perfect sense to me, and I think it opened my mind to different styles of art. 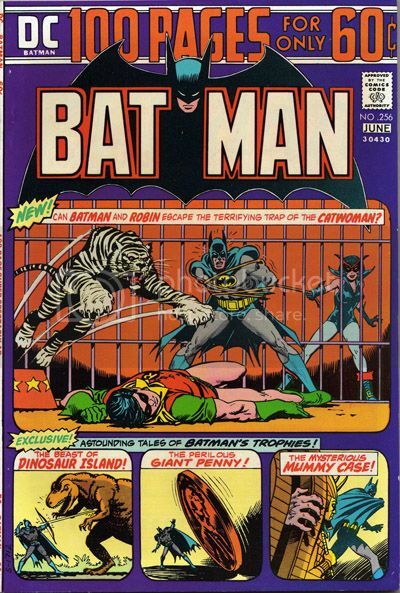 This issue is themed around "Batman's Trophy Room", and reprints the original appearances of such iconic items as the Giant Penny and the Robot Dinosaur. A big part of Batman's appeal is that he's the kid with all the best toys, and this issue certainly demonstrates that! The other great thing about Batman is that he can fit into just about any kind of story, from the sci-fi hijinks of "Dinosaur Island" to the gritty and tragic "Brothers in Crime". Then or now, you can't beat that for a measly 60 cents. I'm not surprised that some of our favorite issues are the 100 Page Giants. Note: I haven't read this in a long time, so I'm not 100% certain I have the issue # right (could be the one before or after). 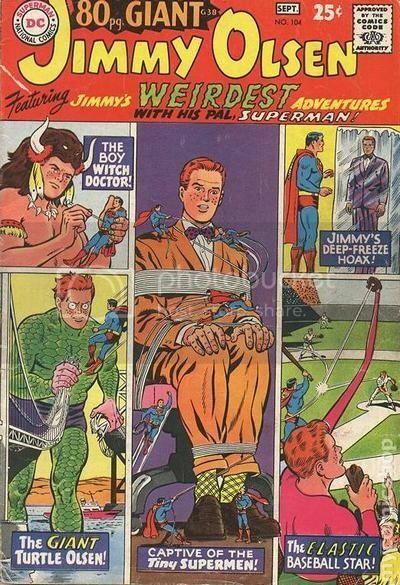 "Jimmy's Weirdest Adventures With His Pal, Superman"
My 2nd 80-Page Giant, & my introduction to Jimmy's trademark bizarre transformations & for all intents & purposes to the character himself. Trust me -- comics don't get much more transfixing if you're 8 years old & still dipping your toe into the four-color pool. I enjoy Warlock and Tomb of Dracula just as much as I enjoy Master of Kung Fu. This is akin to deciding whether I like The Who, The Velvet Underground or The Rolling Stones better. It is pointless and does all the bands a disservice by comparing them. But this kind of rationale doesn't hold muster in regards to this years Classic Comics Christmas. We were asked about comics important to us for some deep, philosophical reason. So let me tell you why I like this issue of Master of Kung Fu so much. Master of Kung Fu had been recommended to me by a good friend of mine for years. 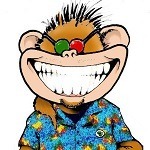 I did not read or collect comics from 1993-2003 and when I started reading them again in 2003 it was trades only. 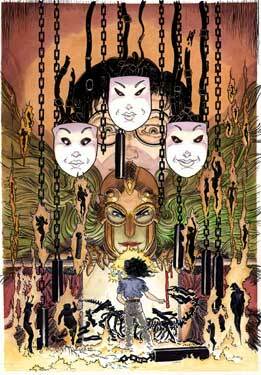 I read Fables, Transmet, Preacher, the Dark Horse Conan reprints, stuff like that. I still continued to ignore suggestions to read Master of Kung Fu. In 2009, I found myself living in Los Angeles. Golden Apple was my comics shop and they had about 20 issues of Master of Kung Fu in the back issue bin. MOKF #39 was in the batch. There is not much more to say about it. One can read my numerous posts banging the drum of Gene Day, the superb story telling of Doug Moench and Paul Gulacy and the charms of MOKFs supporting cast. That is not the reason why this issue is so high on my list. Master of Kung Fu #39 is on my list is because it is the best series ever recommended to me by a friend of mine. #39 was simply the best and most memorable issue out of the initial batch that I bought at Golden Apple. But to have been given the gift of this great series, I was practically begged to read it, well, that's important. This issue gets 4th place. Not the first Avengers issue I read - I think that might have been Avengers #45 - and not even the first one that made a big impression - Avengers #56 and Annual#2 would be contenders for that - but as important as all those earlier issues are to me, not to mention several later ones, I think this is the single Avengers comic that exemplifies almost everything that made that series and superhero-team comics in general so attractive to me as a kid. 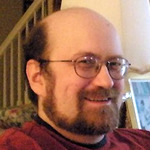 This is where things like Claremont's X-Men came from, to me. Of course Roy Thomas was building off the foundation Stan Lee had built earlier, not only on the Avengers but on the FF and other, non-team, superhero series. And it isn't easy to put your finger on what exactly Roy was adding to the mix - maybe, like Claremont after him, he was just concentrating and elaborating what had been done before. But nonetheless, Thomas's Avengers feels different to me, like a new thing. Some of that is undoubtedly due to the artwork of John Buscema and George Klein: the art in Avengers #58 probably formed in large part my ideal of how superhero-team comics should look, in the strictest sense of "superhero" (Kirby's work in the genre is so idiosyncratic that, influential as it was on Buscema and everyone else, directly or indirectly, I think of it as a thing unto itself). I think I'm far from being alone in that feeling: a lot of what came later in superhero comics, even up to this very day, looks to me like elaborations on (in the best cases) or inept distortions of (in the worst) Buscema's Avengers and Neal Adams's Batman and Green Arrow/Lantern, as far as the visuals are concerned. Marvel Triple Action #23 featuring a reprint of Avengers #29. I've mentioned I loved the Avengers as a kid, but part of that love stemmed form the idea of there being a history to the team. 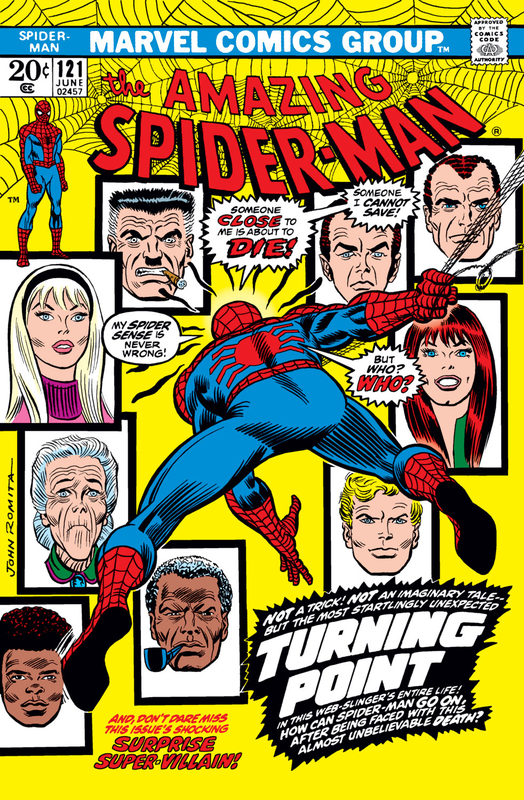 Aside form the Fireside books Origins and Son of Origins, and the Mighty Marvel Funbooks that used Marvel history as fodder for games, puzzles and mazes, my introduction to the history of the Marvel Universe came through the reprint books on sale on the spinner racks alongside the regular new material. 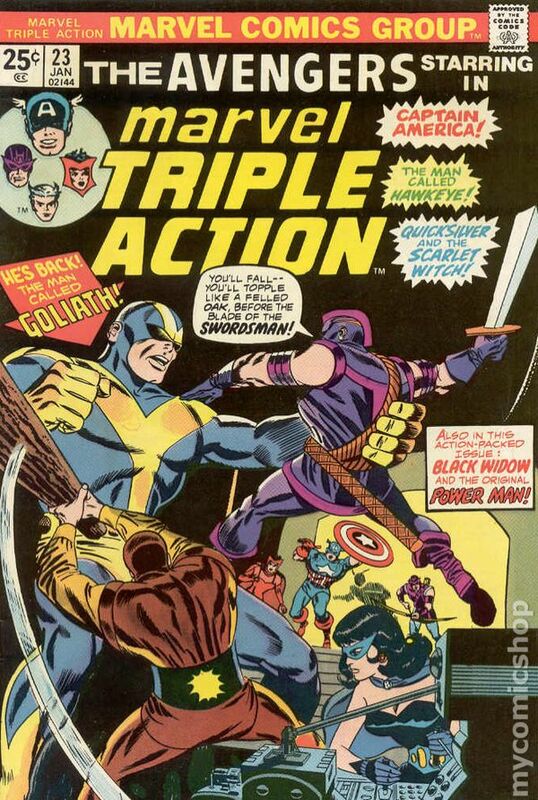 Marvel Triple Action was my first intro to this (followed by Marvel Tales), and this was the first issue of it I ever bought and read. The pathos of Hank Pym trapped at 10 feet tall, the drama of the Hawkeye/Widow dynamic, Cap, Wanda, Pietro and cool villains like Sowrdsman and Power Man (hey I was young at the time) were a recipe of joy for me at the time, and when coupled with the adventures going on in the regular Avengers book, made me a huge fan of the team and cemented my Marvel zombie nature as a kid. Day 9, and my 3rd Frank Miller book. 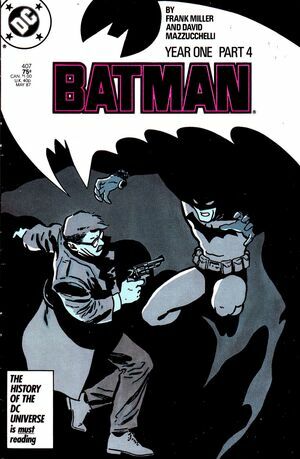 Dark Knight Returns captured one end of Batman's career, this captured the other: Batman Year One, culminating in Batman 407. I can never forget the opening splash of Pietro Trying to save a -trapped at 25 feet- Hank Pym with some gadget attached to his chest. I always loved the issues involving Giant Man/Goliath. On the ninth day of Christmas, my collection gave to me...9 loved ones in danger! 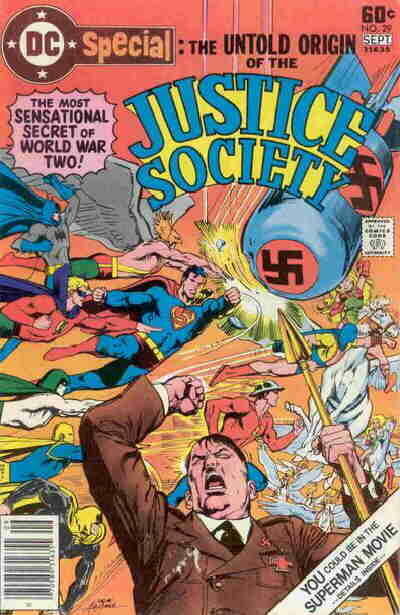 Really was a turning point for comics. Recently bought myself a copy and read it and to this day, it still had the power to move because it moved me. Seeing Spidey helpless, unable to use all of his strength and power to save the girl he loves. This is an important issue and is the gem of my collection. I will always cherish it as such because of what it represents as a defining moment in the history of my favourite superhero. Huh. I just realized that my eighth and ninth day selections both feature supernatural beings, and a legacy of heroism from past decades. From the classic Roger Stern and John Byrne run of Cap, which is among my favourites to this day (it was really hard not to include a story from this one featuring Batroc Ze Leapair! ), this one's another grab-bag of super-cool elements. Hammer-style Horror, Both Golden Age AND international superheroics (it's a "two-fer"! 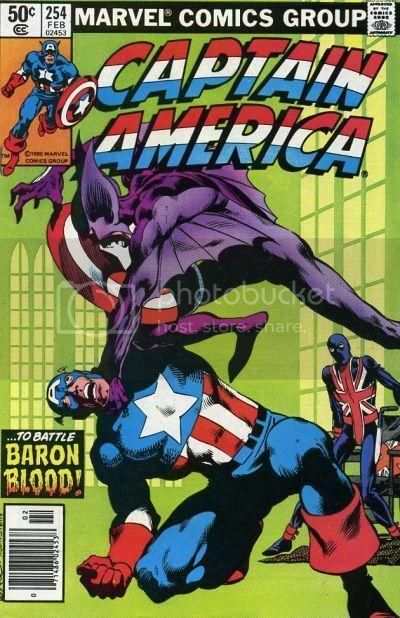 ), Fearless Vampire Hunters and the debut of the new Union Jack, a character I've always been a massive fan of. Plus, it's Stern and Byrne! What's NOT to like? Union Jack looks almost like Jack Staff on this cover. Like I said, I'm not much for nostalgia. But I do like some of the same stupid stuff that I did when I was eight, and I STILL can't think of anything much cooler than "Dinosaurs on Broadway!" 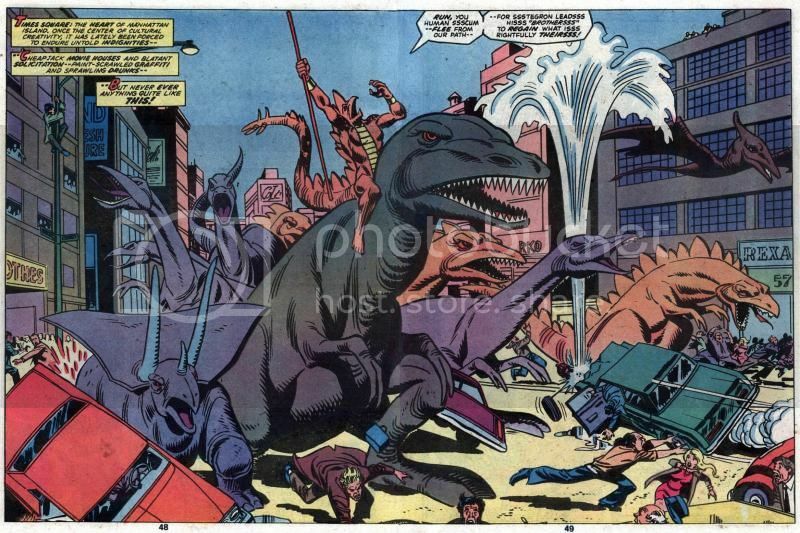 The fact that this book featured Spider-man AND the Black Panther battling my very favorite Marvel comics character, the inimitable Stegron the Dinosaur Man didn't hurt, either. And while I now own this comic in three different formats (Essential, Marvel Masterworks, and best of all a giant Size Treasury Edition) and I haven't actually seen my copy for a couple years now, I gotta go with the way I read this comic as a kid. Goddamn, I love Jack Staff. It did, of course, start out as a pitch for 'Union Jack'.